Forever 21 Mega 3-day Sale! 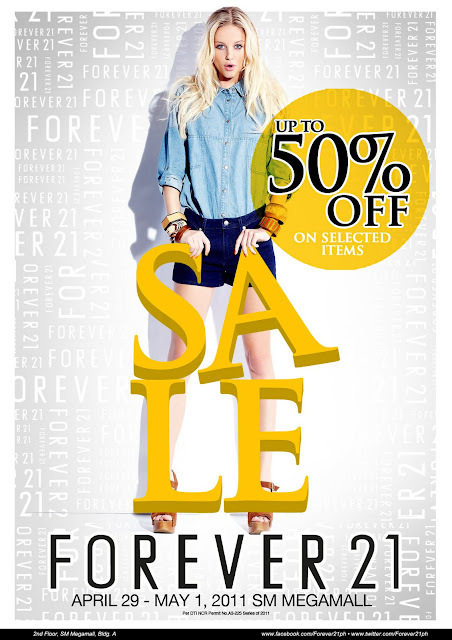 Our favorite brand Forever 21 will be having another 3-day sale this weekend at SM Megamall!!!! 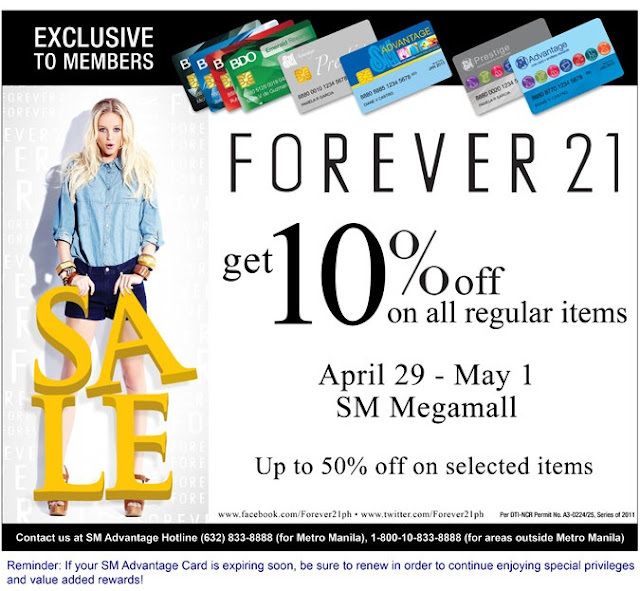 Up to 50% off on selected items, 10% off on regular-priced items when you present your SMAC, BDO Rewards and Forever 21 credit card, 5% rebate (on top of your purchases) on all Forever 21, BDO and AMEX credit cards with a minimum spent of P5,000 and 0% interest, 3 months installment for a minimum of P5,000 single receipt purchase. So mark your calendars! And please, chill ladies. Hehe.